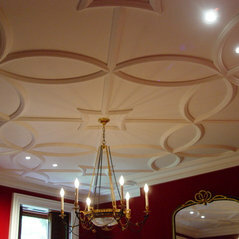 Hyde Park Mouldings was founded in London, England in 1962. The company was purchased and relocated to New York in 1986. Since that time it has remained within the same family and continues to grow and innovate. Our shop space has grown as demand for our products and our ability to produce have increased. We now inhabit a 30,000 square foot workshop in Hauppauge, New York from which all of our operations are based. 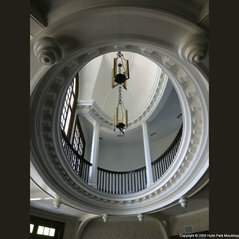 Hyde Park Mouldings is driven by a passion for exemplary craftsmanship. Rigorous attention to detail and dedication to traditional methods is our hallmark. Our products utilize pure gypsum plaster and natural reinforcing fibers: abundant, sustainable products with minimal environmental impact. Their durability is time-tested. 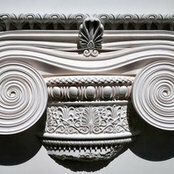 When cared for properly, gypsum mouldings have an infinite lifespan. By adhering to the traditional materials and methods of past craftsmen, we ensure that our work, too, will stand the test of time. 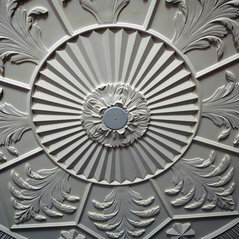 Hyde Park Mouldings draws heavily on Historical Precedents in the design inspiration for our mouldings. A Zest for Classicism mixed with a Spirit of Innovation informs our work. We have dedicated ourselves to the study of Period Interiors (Jacobean, Tudor, Adams-Style, French, Victorian, Art Deco, Romanesque, Greek Classical, and Palladian to name a few). In our Custom work, we take great care to glean inspiration from the stylistic context of the projects wherein we are commissioned. 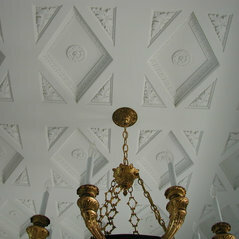 We are attuned to the subtle inflections in architectural vocabulary that effect the execution of ornament. In this way, we ensure that our work will blend seamlessly into the composition of the interior. 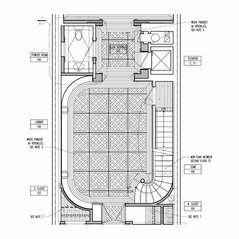 Design Consultation, Engineers Services, Custom Design and Mould-Making, Catalogue Material Supply, Installation, and Historic Restoration. Based in the Metropolitan New York area, we perform work across the United States and abroad. Commented: stunning!My, that is a fun coincidence! Thank you for your kind words. This was one of our favorite projects so it is very nice to hear that your family is pleased with the results as well. Best wishes!